Everyone has their own definition of fun: relaxing on the beach, playing a round of golf on the course, or exploring the outdoors. 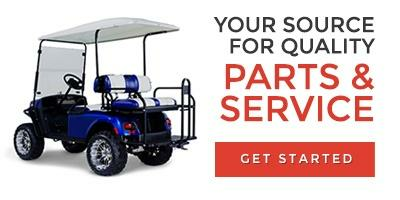 If you use your golf cart or utility vehicle for work, wouldn’t you want to find ways to make work easier for you? With so many different golf cart models and ways to customize your vehicle, it can be tough to find what you need and get started. You might have a few specific accessories in mind or you might want to browse what options you have based on what you like to do. That’s where we can help. We took the most common usages of our customers and provided vehicle and accessory recommendations. After you've seen what we can do, head over to service and parts and fill out one of the forms. We'll have you fixed up in no time.